“That’s right, after 85 years of, ‘I can’t hear what he’s saying,’” the Long Beach Playhouse is seeking to upgrade their sound system with the help of the community. As a nonprofit organization, major investments and upgrades are a hefty expense, so the community-supported theater is turning to the public for help with a Kickstarter Campaign. The proposed new sound system will include body mics for actors, new hanging mics above, new software, hardware and equipment that will give the theater the sound quality their community productions certainly warrant. The upgrade will benefit both the Studio and Mainstage Theatres to improve the sound for all performances, but especially the musicals. The Playhouse’s initial goal of $7,000 will pay for labor and the aforementioned equipment, while their “Reach Goal” of $15,000 will enable them to purchase higher quality, long-lasting equipment to cover both stages at once. In order to receive the Kickstarter funds, the $7,000 must be raised by May 9, 2015. 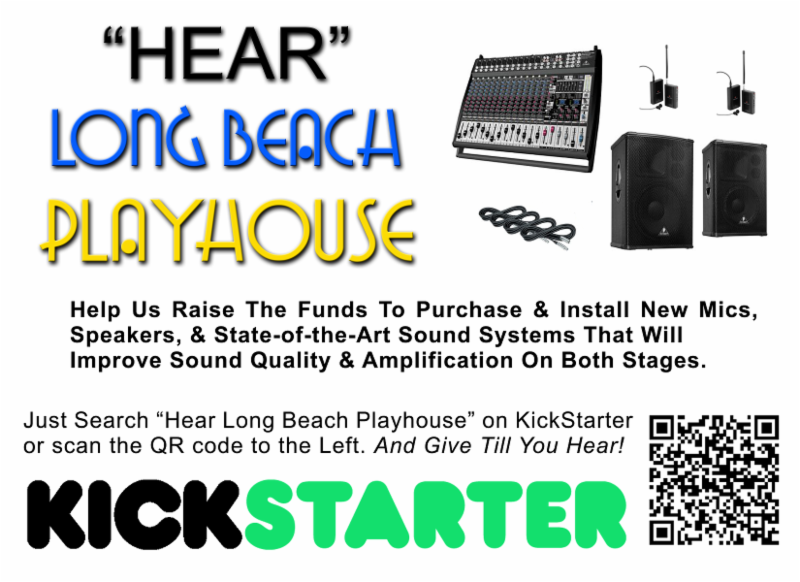 According to The Playhouse, the first phase will transform the sound system from not-quite-adequate to “I can hear you and you sound great!” So quit cupping your ears, Long Beach theater goers and leaning toward your date to ask, “What did she say?” Now is a great time to give back to an organization that creates programs that cut across age, gender, ethnic and cultural boundaries, that seeks to entertain and move its attendees as only passionate plays can do. To support the project, visit the Kickstarter page here. For more information about The Long Beach Playhouse and for a current list of upcoming shows click here. The Long Beach Playhouse is located at 5021 E. Anaheim St.